The world offers a lot of ways to become a writer. You can go to school for journalism or creative writing, get a Ph.D. and publish in journals, start a blog and turn it into a business, write a book and become famous…The paths are innumerable. Whatever kind of writer you want to be, you can probably find a blog or online community to help you get there. 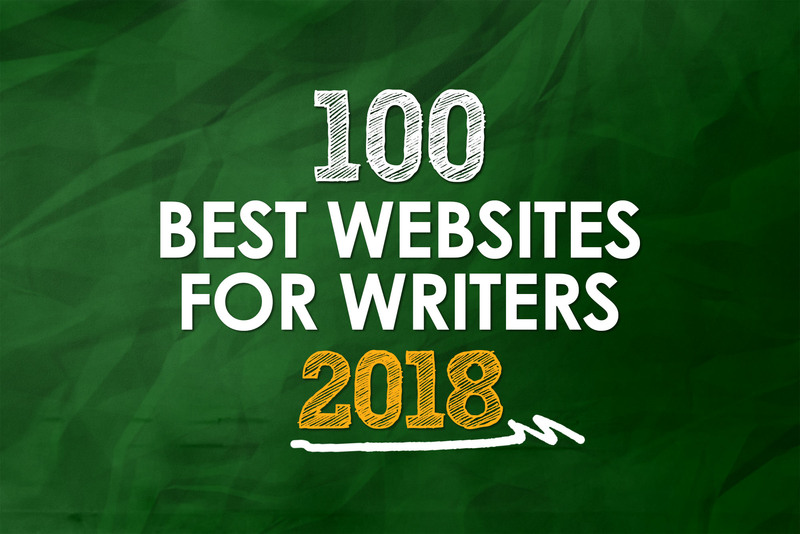 Each year, The Write Life celebrates these vast resources available to us online by releasing a list of the 100 Best Websites for Writers, and we’re excited to do it for the fifth year in a row. Thanks to your suggestions, you’ve helped us curate hundreds of websites to bring you the best of the best. Many are tried-and-true favorites previously featured in our 2014, 2015, 2016 and 2017 lists, and this year we’re thrilled to feature 25 newcomers, including 10 new writing communities you recommended. We’ve broken our 2018 list into nine categories: Blogging, creativity and craft, editing, freelancing, marketing and platform building, podcasts, publishing, writing communities and teens and kids. All sites are listed in alphabetical order within their categories, with numbers for ease of reading (not ranking). And if you want to start your own website or blog, here’s our step-by-step guide. Your website could be next on our list! Sophie Lizard teaches you how to take your freelance blogging skills to pro level. Through her blog posts, free community and job board, you’ll increase your blogging income and become an expert in your niche. Take your content marketing, SEO and community-building skills to the next level with Copyblogger’s library of free ebooks, blog posts, forums and more. It’s a leading resource for professional blogging from the creators of the Rainmaker Platform for digital marketing. At See Jane Write, founder Javacia Harris Bowser seeks to empower women to be “authors of their own lives” and “live a life worth writing about.” Consistently recommended by many of our readers, See Jane Write is a great place for bloggers who are looking to grow their platforms and turn their blogs into businesses. Almost an Author offers a deep archive of content focused on helping writers at any level. Blog posts, interviews and resources help writers learn the craft and launch their careers. Post you’ll like: Your Writing Platform – Do People Expect Writers to Be Speakers? Author, editor and writing coach C.S. Lakin loves helping writers get their manuscripts ready for publication. At Live Write Thrive, she writes about proper scene structure, character development, editing and crafting a fantastic story. The folks at DIY MFA believe you can access the benefits of a Master in Fine Arts without having to go the traditional (expensive) route. It all comes down to a simple but powerful combination: Writing with focus, reading with purpose and building your community. Best-selling author Jeff Goins created his site to inspire others to awaken to their creative gifts and develop their true voices. Through his blog posts, podcasts and newsletters you’ll get an inside peek into the life of a successful creative professional, as well as practical advice for pursuing your own art. Post you’ll like: What Are 10 Ways That Twitter Can Help Writers? Browse the latest research here. Lauren Carter is a writer and creativity coach who offers one-on-one coaching and online courses to help writers focus and build a writing practice. Her blog posts turn life lessons into writing inspiration and motivation. Writer, editor and web designer Nicole Bianchi shares practical and personal advice for writers at all stages of their careers. Her tips help writers boost their productivity, improve their writing skills and build their online presence. One Stop for Writers by Writers Helping Writers is a “storehouse of creative information.” Grab free resources to help you write and plan your story, from an Emotion Thesaurus to a variety of Story Maps. Tons of our readers recommended this site this year! ProWritingAid offers manuscript editing software to help you analyze and self-edit your writing. You can sign up with an email address to use the free tool to analyze 500 words of text for style, grammar, overused words, readability and more. You can pay for a membership to get desktop software and eliminate the word-count limit. Try the free editing tool here. No matter what kind of fiction you write, Re:Fiction welcomes you. This site offers resources to help you at all stages, from getting better at writing to publishing to marketing and building your platform. It also offers multiple scholarships for professional editing and critiques each month on manuscripts of up to 5,000 words. Writer Mandy Wallace believes you can’t wait to become inspired or for luck to strike. Just “Show up, shut up and write,” and sooner or later it will all come together. Wallace’s blog documents the writing lessons she’s learned and offers practical guides for upgrading your own writing. The one constant when it comes to writing? It all comes down to the people: You as a writer, your characters and their development and the audience you seek to connect with. At Writerology, Faye Kirwin combines her expertise in writing and psychology to help you hone your craft, understand people and write amazing stories. Authors Angela Ackerman and Becca Puglisi are dedicated to creating one-of-a-kind resources that writers will actually use. Their books and blog posts focus on helping writers become better storytellers. Post you’ll like: The Sell-Out or the Purist? This site offers a vast archive of informational and inspirational articles on creative writing, blogging and business writing. You may speak English fluently, but the language can still be quite a mystery. Grammar Girl is the go-to guide for all things “grammar, punctuation, usage and fun developments in the English language.” She has a popular podcast, too. The Writership “Captain’s Blog” is run by a team of editors with Executive Editor Leslie Watts at the helm. Through the blog and podcast of the same name, they offer self-editing tips for fiction writers. Scribendi is focused on the art of editing and proofreading. Their resources for writers cover everything from grammar to finding inspiration to the mechanics of writing. Post you’ll like: How Do You Become a Six-Figure Freelance Writer? You love to write. But to be a successful freelancer, you need to work those business muscles. That’s where Freelance to Freedom comes in. Founder Leah Kalamakis offers articles and ebooks that teach everything from client management to setting up your business website. It’s been around since 1997 and is still going strong: Freelance Writing has an extensive archive of articles, tutorials, media and resources all geared to helping you build a successful career. Its jobs listings are updated daily, so you’re always in the know about new opportunities. In 2016, Lindy Alexander took on the challenge of taking her freelance writing career full time. The Freelancer’s Year documents the lessons she’s learned and features interviews with seasoned freelancers. Post you’ll like: Are You Ready to Become a Full-Time Freelance Writer? C. Hope Clark believes writing can be a realistic career for all writers. Her weekly newsletter lists the best competitions, grants and other well-paying markets, and her platform has grown to include a blog and a bi-weekly paid newsletter with even more high-paying opportunities per issue. Lauren Tharp has found a way to write as a freelancer full time and is dedicated to helping other writers do the same. With bi-monthly newsletters, a blog and a podcast, LittleZotz is a great source of practical tips for your freelance life. This simple tool, created by freelance writer Susan Shain, helps you decide (you guessed it) where to pitch your articles, based on a topic or publication. The Where to Pitch newsletter offers monthly freelance writing tips and resources. Try out the tool here. Consultant and book blogger Barb Drozdowich tutors authors in the technology they need to build a platform through social media. In 2012, writer Henneke left the corporate world and grew a freelance copywriting business. Now she writes this blog and coaches other writers full-time, helping them market themselves through engaging copy and a fun blog. For business, sales and marketing-focused writers, HubSpot is a great place to stay on top of the latest research, insights and strategies for connecting with your audience and making them fall in love with your brand. Writers Boon is a book publishing and marketing directory where you can connect with other authors, publishing and marketing experts and resources for authors. Sign up is free, and you can follow the Writers Boon Blog for ongoing advice and news. We all love writing, but sometimes platform building and promotion don’t feel as natural. That’s where Create If Writing comes in. Host Kirsten Oliphant shares tips and tools on how to build an authentic platform for your creative brand. Author Mark Dawson hosts this podcast, which features interviews with some of the biggest names in the self-publishing game. Listen for tips on writing, publishing, marketing and more. 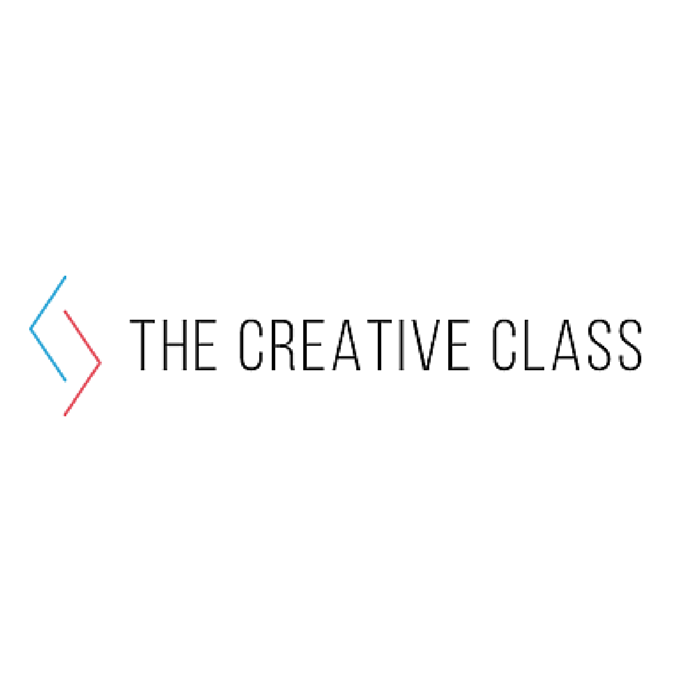 This show brings you inside an actual writing class, where you can hear other people tell their stories, witness breakthroughs and hear the ins and outs of learning to write well. In these weekly 15-minute episodes, writers Brandon Sanderson, Mary Robinette Kowal, Howard Tayler and Dan Wells talk about all things writing. They often have season-long themes — check out season 12 for a masterclass in story structure. Literary agent Maria writes this blog about books, food, life and writing. You can sign up for free with an email for access to articles on writing and blogging, but recipes and articles for book lovers are public. Consider K.M. Weiland your writing and publishing mentor. With hundreds of blog posts, instructional ebooks and an exclusive e-letter, her website is the perfect place to find the answers to all your questions. She also responds to every email she receives (really!) about writing, publishing and marketing fiction. New York literary agent Janet Reid shares tons of insight into the life of a literary agent and — what every writer craves — what she loves and hates to see in a query. Her advice is fun to read and helpful whether you want to query her or any other agent. Writer and coach Elizabeth Lyons self-published her first bestseller in 2003, all about her first year raising twins. Her second book garnered attention from literary agents, so she decided to share her secrets through a series of online courses and programs. Her blog shares tips on everything from overcoming writer’s block to launching and marketing. It took Kristen Kieffer two and a half years to finish her first draft — then she realized she had made every mistake in the book. She vowed not to let these personal lessons go to waste, so she created Well-Storied (formerly She’s Novel), a blog and resource hub that helps writers more-easily navigate the journey of crafting brilliant novels. What better way to get book publishing advice than from an agent himself? From resource recommendations to nearly a decade’s worth of blog archives, The Steve Laube Agency website is full of advice for writers who are taking their first steps into the world of publishing. Post you’ll like: Who Decides to Publish Your Book? Writer’s Digest is home to many resources, competitions, and communities. The Guide to Literary Agents and There Are No Rules blogs give you an inside look into the publishing industry, Robert Lee Brewer’s Poetic Asides is for poet’s, and Jess Zafarris’ The Writer’s Dig covers all things writing. For more than 20 years, Writer’s Relief has helped creatives successfully submit their writing to literary journals, book publishers, agents and more. The staff’s blog is full of publishing tips, and a paid-subscriber-only classifieds section lists contests, conferences and residences. Author Ryan Lanz started this writing community to help authors find book reviewers and publishing services, and offer free resources, critiques and coaching. For $8,95 a year, you’ll get access, plus exclusive discounts on services and other freebies. Writers touted this community by New York Times-bestselling author Alessandra Torre. She teaches courses in writing and publishing and offers a space for you to connect with nearly 3,000 other writers. Booksie lets you publish your writing — from articles to novels — for readers to review or just enjoy for free. You can also read and comment on others’ work to support them. The community is for writers 13 years or older, so it doesn’t allow adult content. This site is a rich resource of scholarships and writing contests, plus Twitter chats to help you connect with other writers in almost any genre. Inked Voices is a platform for small workshopping groups. Connect with other writers in your genre, share work in a private workspace and exchange feedback and critiques. Cost is $10 a month or $75 a year. This community is for writers and readers “who believe in good, old-fashioned family values.” You can post your writing for community feedback and offer feedback to other writers. Yes, this is the event all the writers you know participate in every November — National Novel Writing Month. Did you know you can visit the NaNoWriMo site for tons of resources to help you win? You can also chat with other writers through the online forum and find NaNo groups in your area. More than 30,000 writers of all levels of expertise have joined this buzzing community, founded by author Kamy Wicoff. At She Writes, you can create your own profile, build your network, share your work, get expert advice and feedback and discuss all types of topics in the forum. This community for short-story writers has more than 50,000 active members. Share your writing with the whole community, or in private forums to connect with smaller critique groups. This writing community lets you post your work for feedback and reviews, and connect with other writers. If you find writing you enjoy, you can save it to build your own library of up-and-coming authors! This social network for writers has been around since 2000, and it’s free to join. Join for peer-to-peer reviews or just to make writerly friends. Users have the option to use pseudonyms and remain anonymous. Rae Elliott of Barely Hare Books believes teens can write fandom-worthy fiction. Blog posts, a podcast and several ebooks offer advice for anyone who wants to embark on self-publishing adventure, but the site is geared mainly towards writerly teens. Which writing sites, communities and podcasts would you add to this list? Let us know in the comments below! Nice list. I’d feature CreativeIndie.com instead of Hubspot tho. HS is a bit ‘over the head’ for single entrepreneurs like authors (and way over budget) but Derek’s advice is good as he does lots of experiments in marketing and publishing. More relevant advice kinda. And more book cover resources would be better. Crucial thing! A surfeit of riches! I’ll have to clone myself to follow them. Congratulations to all! I thought for sure The Write Conversation would be on here. It’s very informative. By the way Protagonize.com, the writing website is shutting down soon. These two should be added to your list. This is such a helpful and detailed list! Thank you for sharing. Thank you for including Writers Write on this list! Hi Dana, Winning Writers would love to return to this list. We provide the most in-depth profiles of free literary contests, and help people identify which contests are best for them. Our Twitter feed is full of resources, entertainment, and more contests for writers. We have 103,000 followers. Thank you for commenting, Adam. I’ve bookmarked your site to check out myself. A quick skim reveals that it should indeed be on this list! This is really a great list for newbies like me. Great list. Hopefully one day I can get back on there. Hi, Dana. Thanks for putting together this list. It’ll keep me busy for a week digging through it! I’d like to suggest the site Novel Writing Help (www.novel-writing-help.com) for next year’s 100 Best list. Harvey Chapman of the UK has put together a LOT of information to making the writing process as clear and painless as possible. I’ve found it very helpful, and I’m sure your readers will too. Maybe I’ll finally get on it next year! Some great blogs here – some I’ve never heard of before too. I don’t know what category you’d include it in but David Farland’s https://mystorydoctor.com/ is an excellent site… He’s coached many very successful writers! Such a great list of resources, thank you! Several of my favorites are on here. Link #38 Scribendi needs looked at. Leads to some spam site. I enjoyed, and bookmarked, this list for future reference. I have to completely disagree with #92 – She Writes. Writing doesn’t need or require a gender exclusive site. It’s not a male dominated industry by any means. It completely excludes the experience, success, viewpoint, thought processes and advice that could help make women better writers. In today’s world of “inclusivity” in everything, this is simply a form of misandry. After all, “male only” clubs are railed against by women, aren’t they? The idea itself is hypocritical and anti-men. Are women writers that insecure and frail?